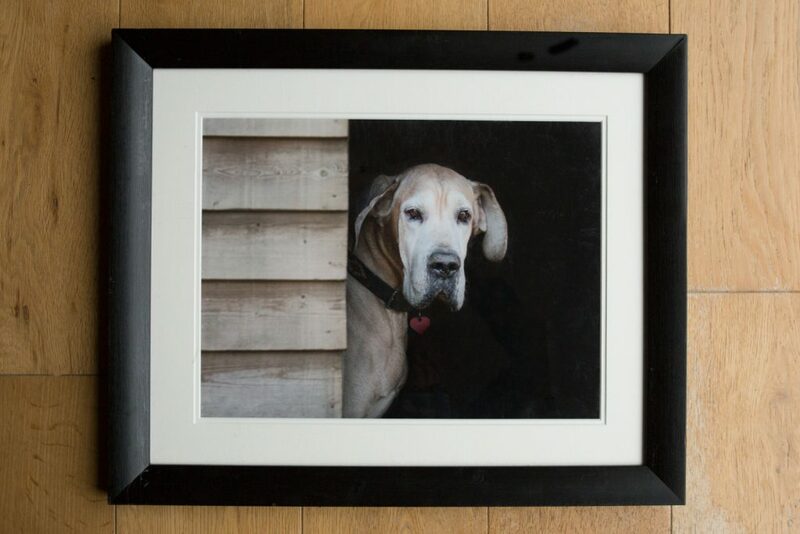 Choosing a photographer to capture lasting memories of your pet is no different to choosing a photographer for your wedding, newborn or family photos. For most of us the subject is equally important and so the same considerations should be given. In this growing age of technology and social media, everyone has a mobile phone and therefore a camera with them at all times. Consequently our newsfeeds are swamped with photos of cute dogs and cats. I for one love seeing these photos and enjoy these images popping up on my Instagram, Twitter and Facebook accounts. However, if you are looking for something with impact – a statement piece, a striking, in-focus image printed in crisp, sharp detail, – an image that you can’t create yourself – then a professional photographer is what you will need. So …how do you find the right photographer for you? 1. Do I need to look specially for a “pet” photographer? 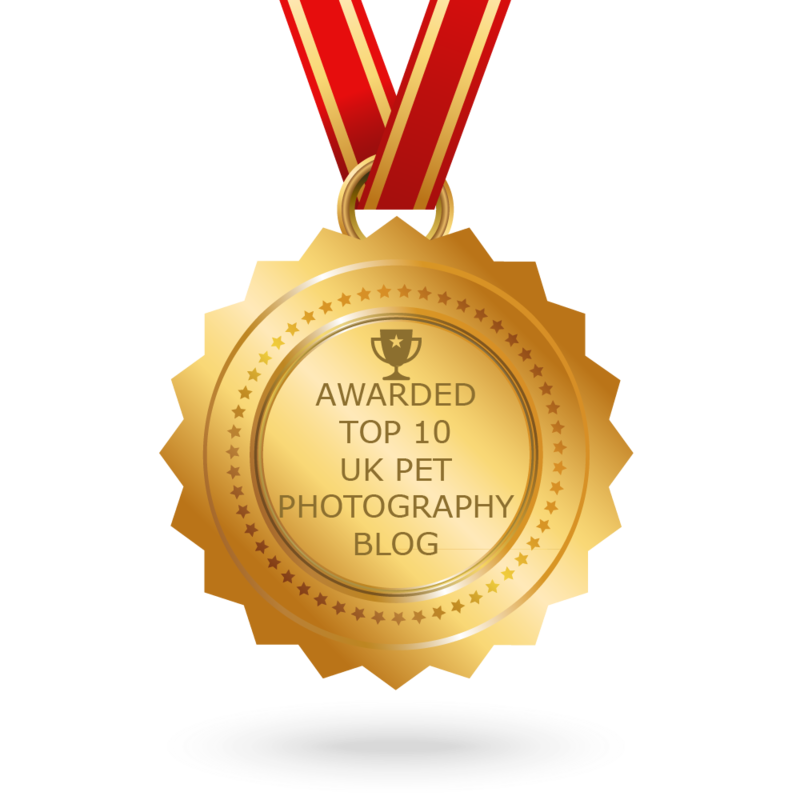 Whilst not disrespecting any other photographers out there, pet photographers are definitely a certain breed! 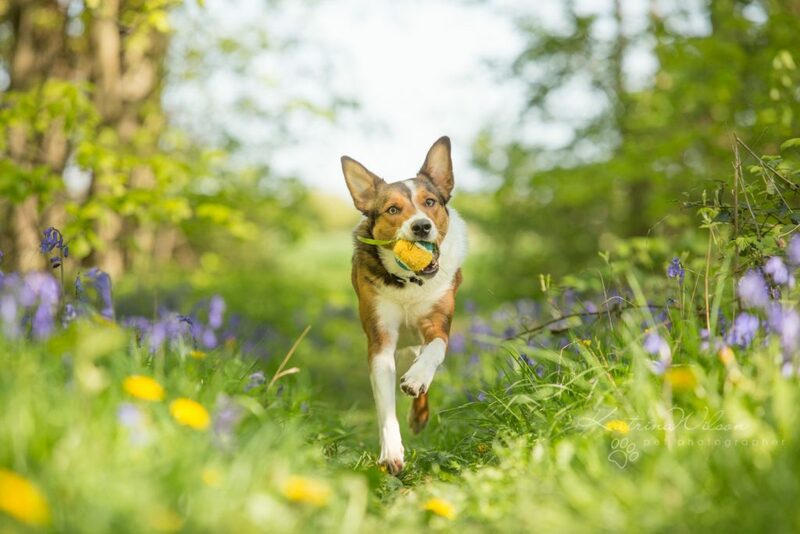 To get the best photos of your pet, we need to get down and dirty…this involves getting down to their level – literally! 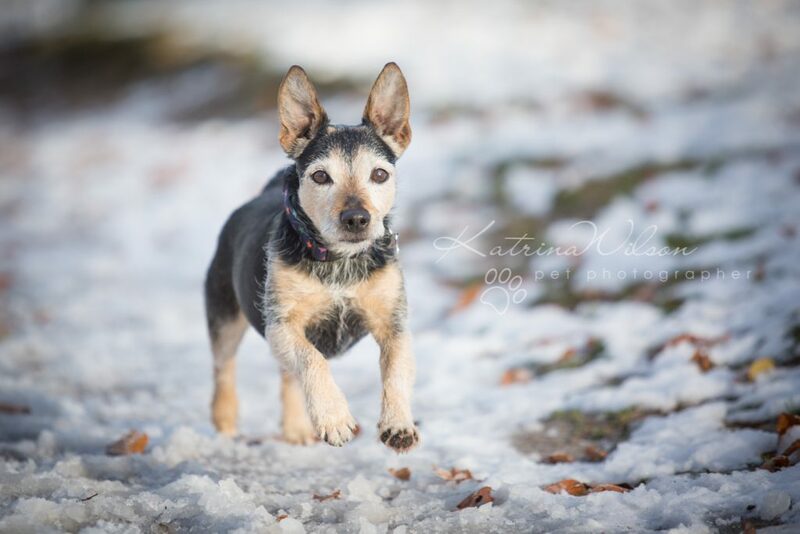 By booking a photographer who specialises in pet photography, you can be sure that they will be used to lying on the floor in order to capture your pet from the best angle. 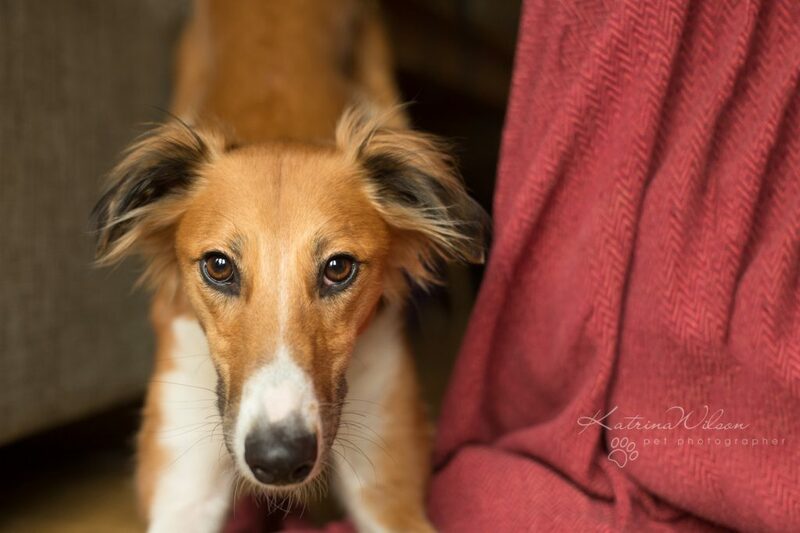 Most dog photographers will own their own dogs and have an understanding of dog behaviour. 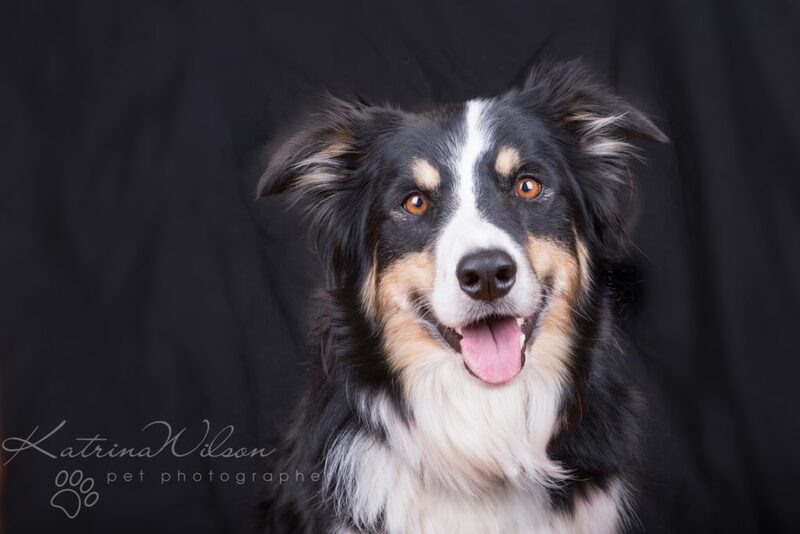 Personally I currently own two Border Collies, and have many years experience of dog training and pride myself on being able to read body language to ensure that your dog is not stressed or anxious at any point during the session. 2. What style of photos do I want? 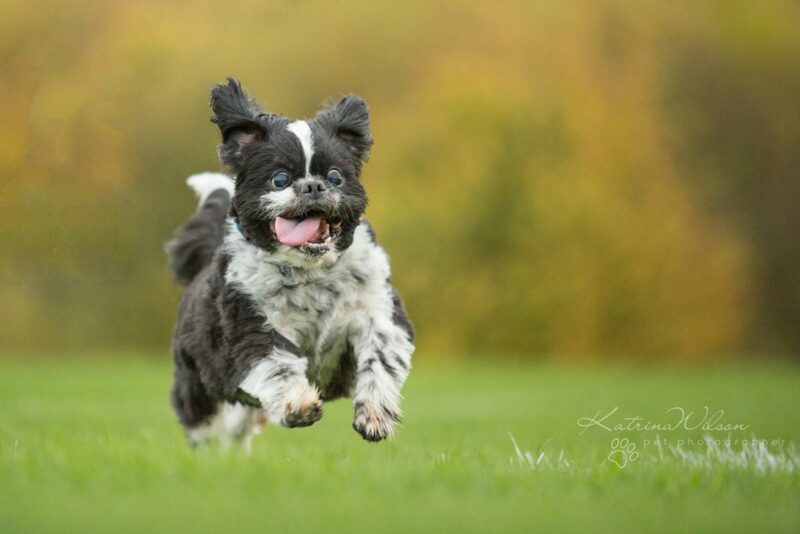 If you google “dog photographer” or “pet photographer” you are likely to find pages and pages of photographers! So how do you choose your photographer? Every photographer has a different style of photography and this will be evident in their photos. So take a look at a few different websites or Facebook pages and see what style of photo appeals to you. Some focus on moody Black and White portraits – others go for bold and bright colours. Do you want a posed portrait or a fun action photo. An outdoors image or one taken in a studio setting? Browse different portfolios to get a feel for the various styles open to you. 3. What can I expect to spend? Like most services, the cost of photography varies hugely, and you need to do your research. Consider that this is an investment and your final print/s are like works of art to be enjoyed every day and treasured for a long time to come. Don’t instinctively choose the “cheapest” photographer. Check with a few photographers, how much their session fees are. What is included in this. How much do print prices cost? Ask for a comprehensive price list so you know what costs are involved from the outset. Discuss with the photographer your budget and your requirements. Do they offer digital images – or just prints? I always show customers sample products so they can see the range of print options that I can offer them. 4. Does this photographer consistently take good photos? Take time to look through images from say 3 or 4 photographers’ websites or social media pages and check that they are CONSISTENTLY taking good quality images. Look for sharp, in focus images with no distractions in the photo. 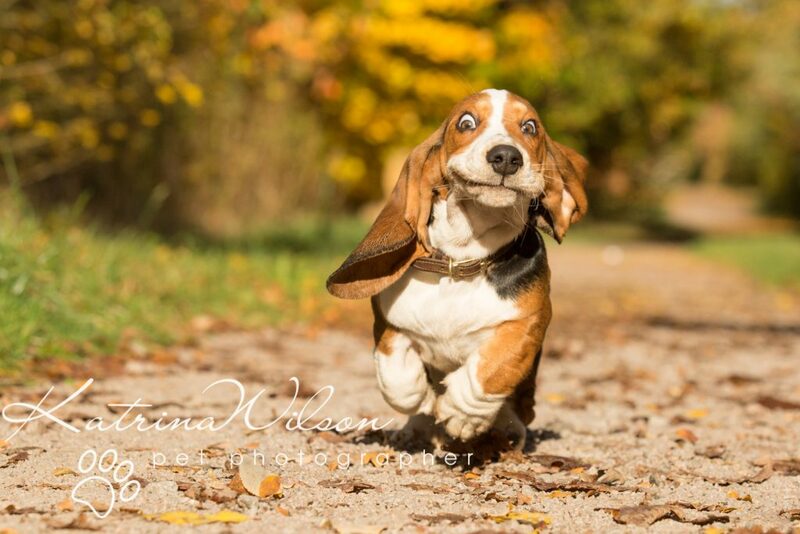 Photos that capture the dog’s personality and give you an emotional connection with them. Once you find the style of photos you like with a consistent quality, you can then be reassured that your photos should be replicated in this way. Everyone with a camera thinks they are a photographer these days. But only a professional photographer will have the appropriate insurance in place, so make sure the photographer you book has both Professional Indemnity and Public Liability. This will ensure that you are both covered in the event of any accidents taking place – unfortunately this is always a possibility when working with animals! 6. How can I check that this photographer will provide a good, reliable service? Word of mouth referrals are always the best. Ask your friends and family members for their experiences. Look at the photographers’ Facebook page or Google profile to read reviews left by other customers who have used their services. Finally don’t be afraid to ask your photographer for customer testimonials. I would certainly be happy to provide you with customers who would happily give you references. 7. Does this photographer have adequate editing skills? Everybody is aware of Photoshop – but not everyone knows how to use it correctly, appropriately – and without taking it to extremes! I am often asked to photograph dogs that are on their lead and I am always happy to do this, as I am confident that I can remove this in post production, with no evidence that the lead was ever there, irrespective of how big the image is printed. 8. What can I expect on the day? Feel free to ask your photographer what you can expect to happen on the day of your session. Personally I always send out an information leaflet before our session which explains what you can expect. 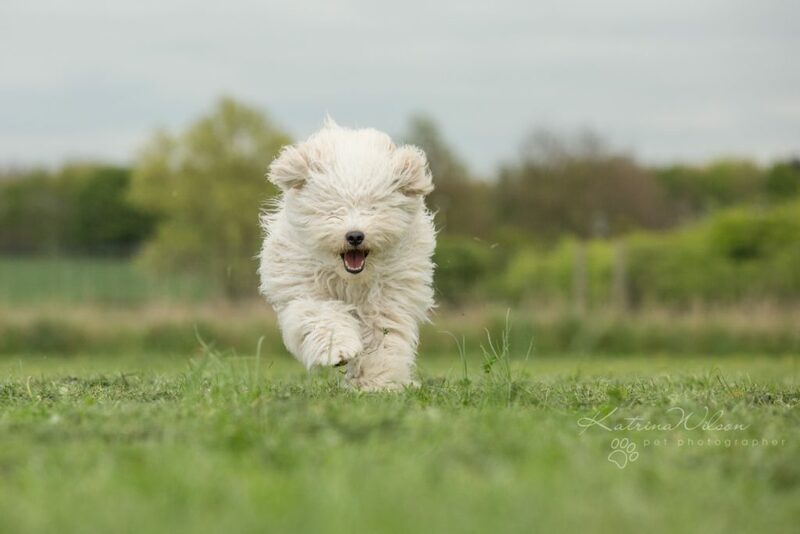 Its always useful if you can practice a sit/stay with your dog before our session, but it really doesn’t matter if your dog is not able to do this – we can still get amazing pictures! Its always useful to bring your dogs favourite treats on the day – although I will have my own supply ready too! My sessions usually take an hour to an hour and a half, depending on the age and attention span of your dog. 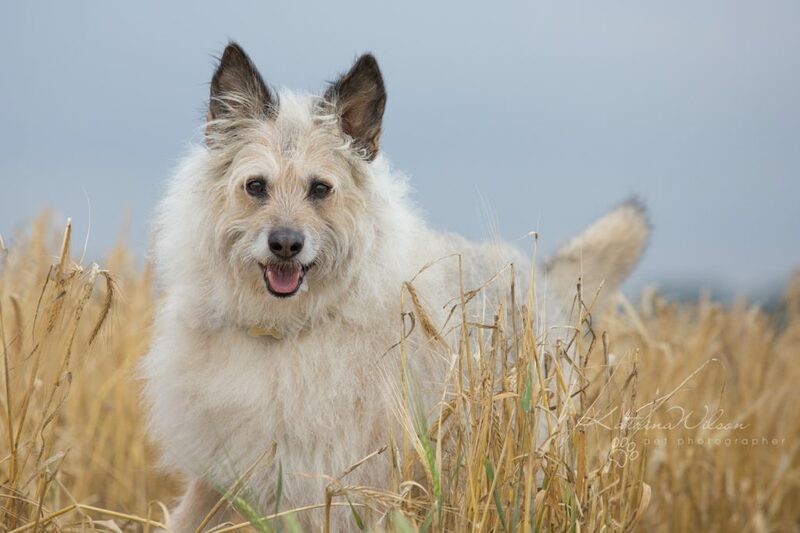 I will never put your dog through necessary stress – so we are really led by your dog as to how long the session lasts. I will then take approximately a week to fully edit and retouch the images ready for your personal viewing session. During the viewing of your images, sample products will be on display for you to view. At this point we will choose your final images and discuss how you would like them printed/displayed. 9. How can I pay for my prints? Check with your photographer at the outset how payment can be made. Some people invest large amounts in photography, and it is useful if there are options available to help with the expense. I am able to take credit card payments, or arrange interest free payment options spread over several instalments. Alternatively I am happy to take cheques or preferably bank transfer payments. Discuss payment options with your photographer before booking them so you can be sure it will be affordable before making a commitment. 10. How qualified is my Photographer? Feel free to ask your photographer about their experience or qualifications. Although it isn’t necessary for professional photographers to have formal qualifications, I’m sure no-one will mind being asked about their experience or if they belong to a professional photography body. I am a member of the Guild of Professional Photographers, and have been a professional photographer for 4 years. 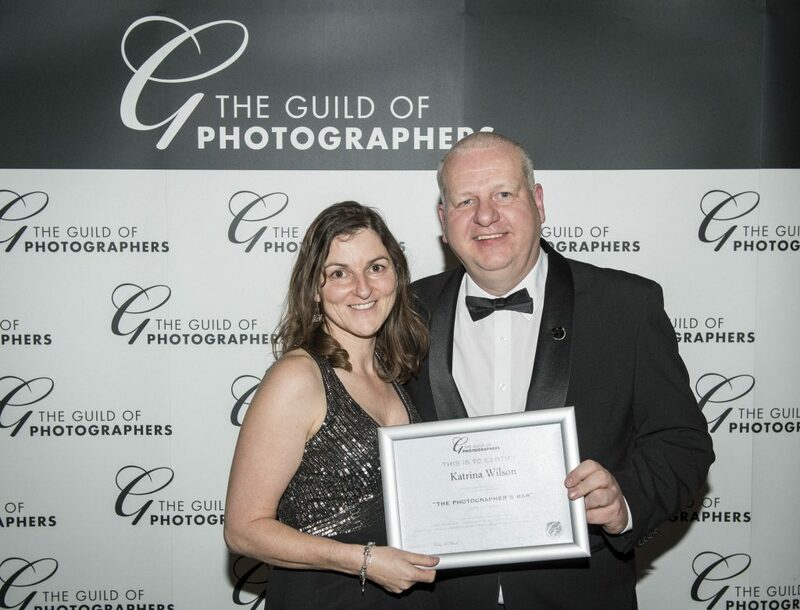 I was proud to achieve my official Qualified Status from the Guild in 2017 and I was also presented with the Photographer’s Bar in 2018 which is “a unique distinction awarded to photographers who have had images assessed by the Guild over the course of a year and attained a score evidencing an exceptional level of professional skill and consistency”. 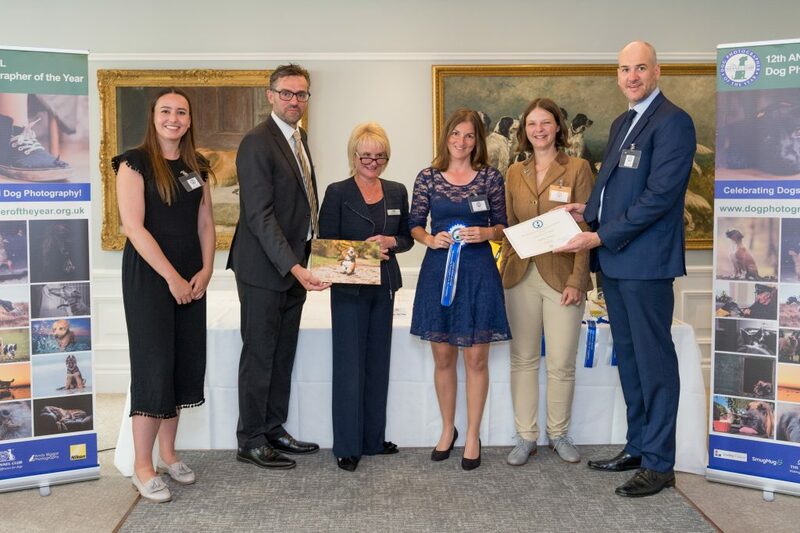 In addition, in 2017 I was one of only 4 entries to receive a Judges’ Special Mention in the highly esteemed Kennel Club Dog Photographer of the Year Competition. 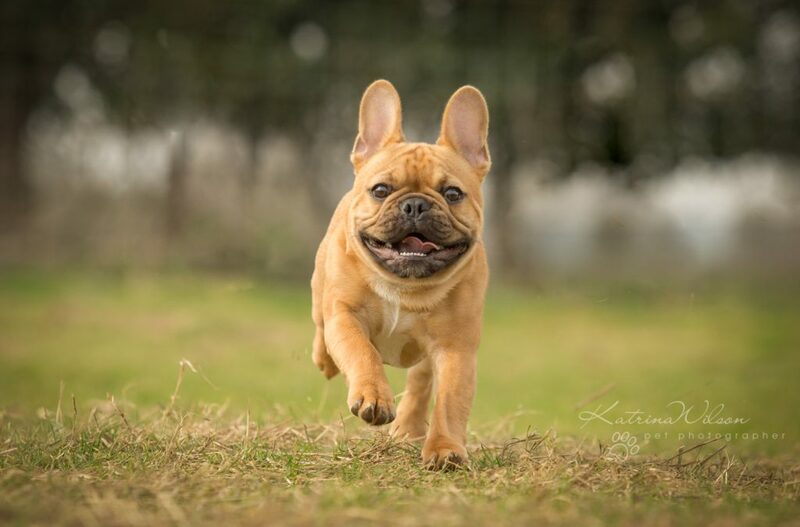 I am constantly increasing my technical skills and photographic techniques to improve my ability to provide unique and striking portraits of pets that will provide lasting memories for their owners.